Yes, this girl. She is growing up so fast and at 10 years old she is going on 16 already. I cherish all those little moments with her - her sense of humor, her love of life and animals and her big heart. I wish she could stay this age forever ... seeing her grow up makes me sad as it makes me happy and proud to be her aunt. This page was of my niece during a photo session. It was a beautiful winter’s day and a warm sweater with a comfy scarf was all that was needed. I added a cut file background to my page but after finishing I should have done something with snowflakes. 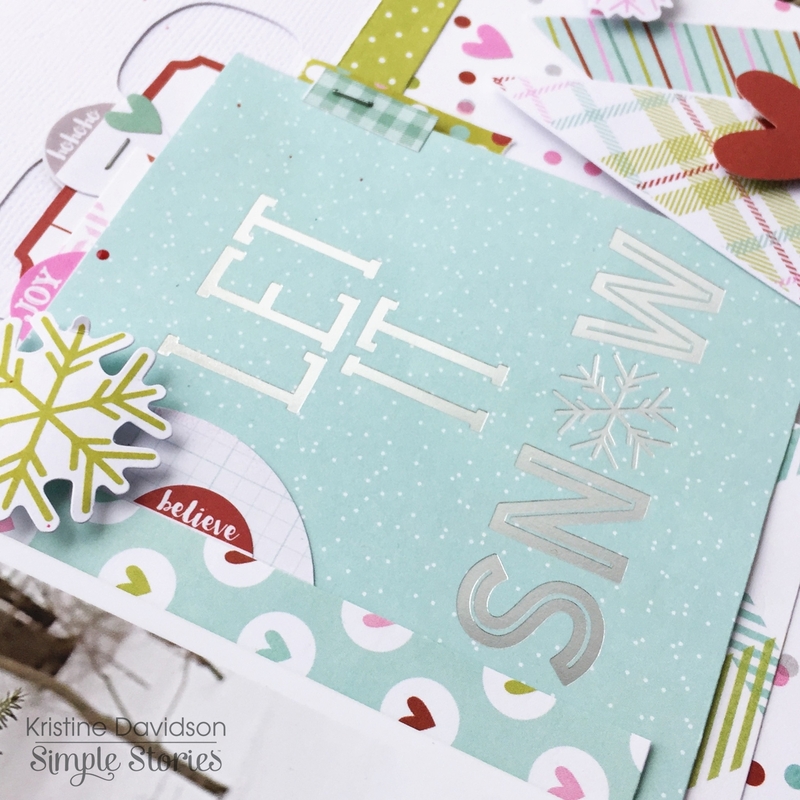 I added the chipboard snowman and some trees on this page with more snowflakes. 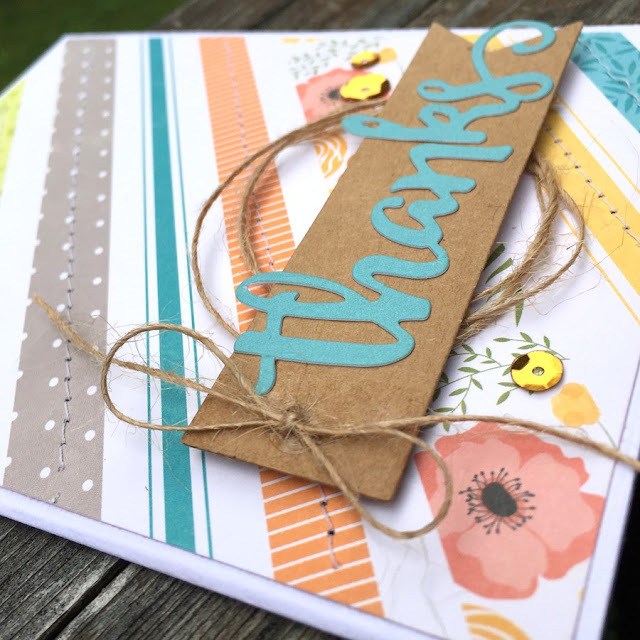 The colors in this collection are fabulous aren’t they? I love how you can really create your own “theme” – such as winter. 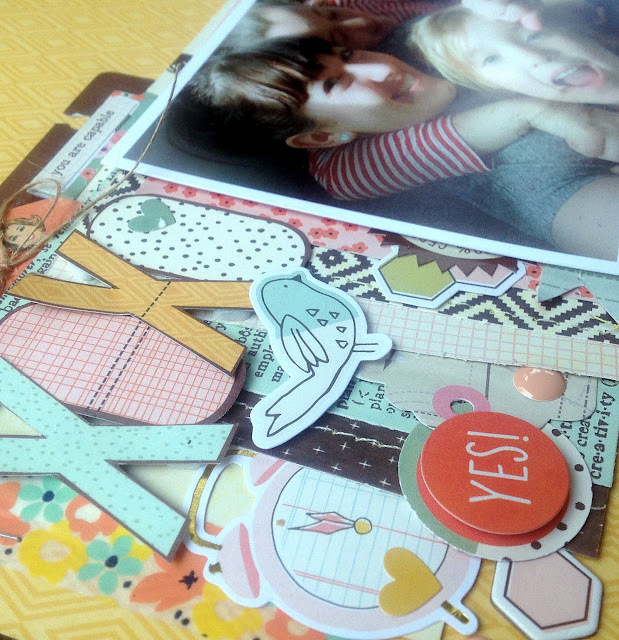 The package of bits & pieces from this collection are A-dorable! You can easily create a few layouts and have left overs for a few cards or adding some cuteness in your carpe diem planners! Creative Scrappers is hosting a BLOG HOP today in conjunction with sketch 301 and our sponsor Spiegelmom Scraps. 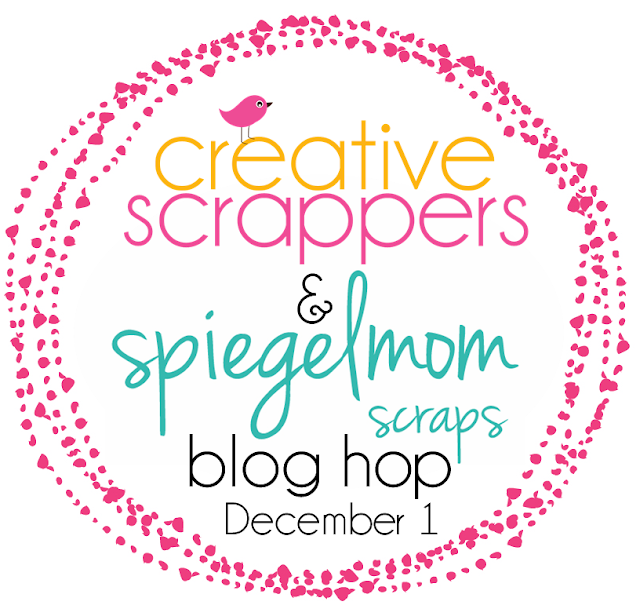 I hope you can take a few minutes from your busy day and join us! 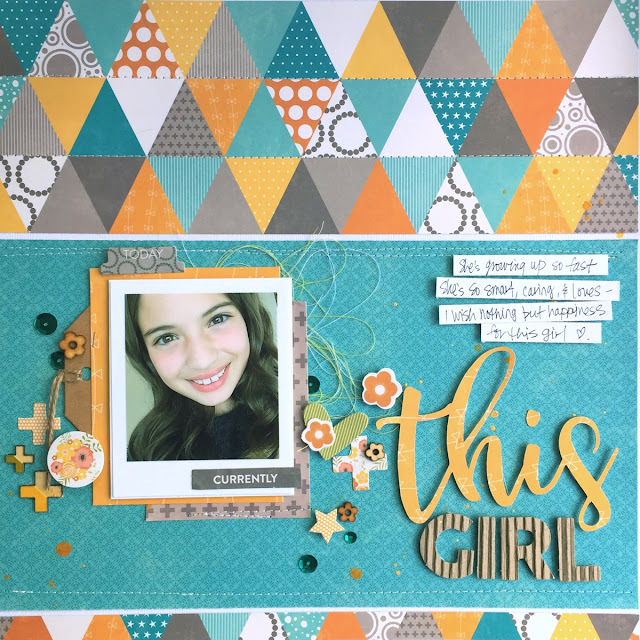 We have a few prizes, some great layouts, a free cut file and of course you will get tons of inspiration from our Design Team ! Here's the order for today's hop! 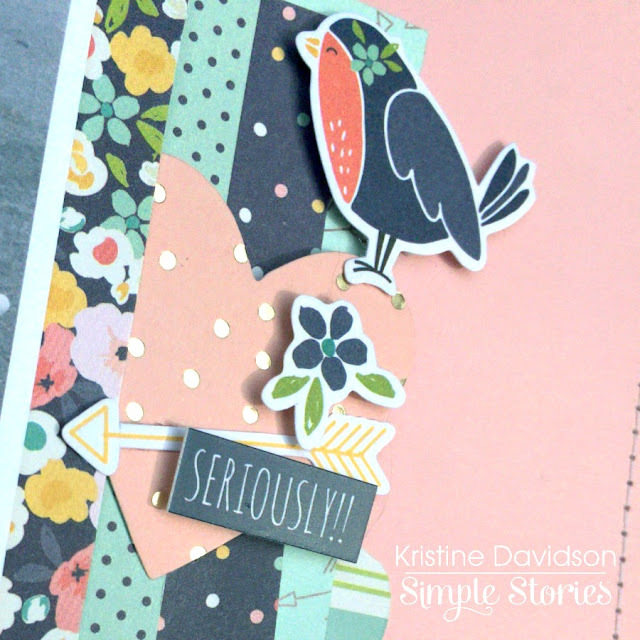 Kristine Davidson You Are Here! on your next purchase from Spiegelmom Scraps! 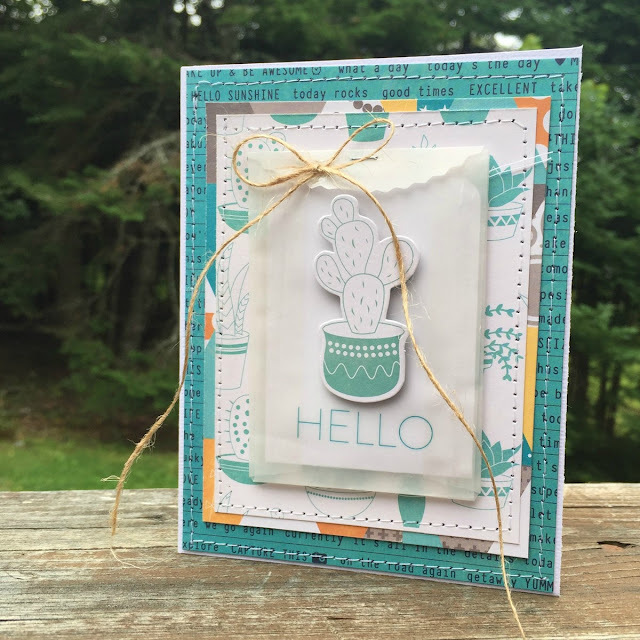 for another blog hop with the design team members from SMS! as well as a copy of the NEW print version of Creating With Sketches V4! 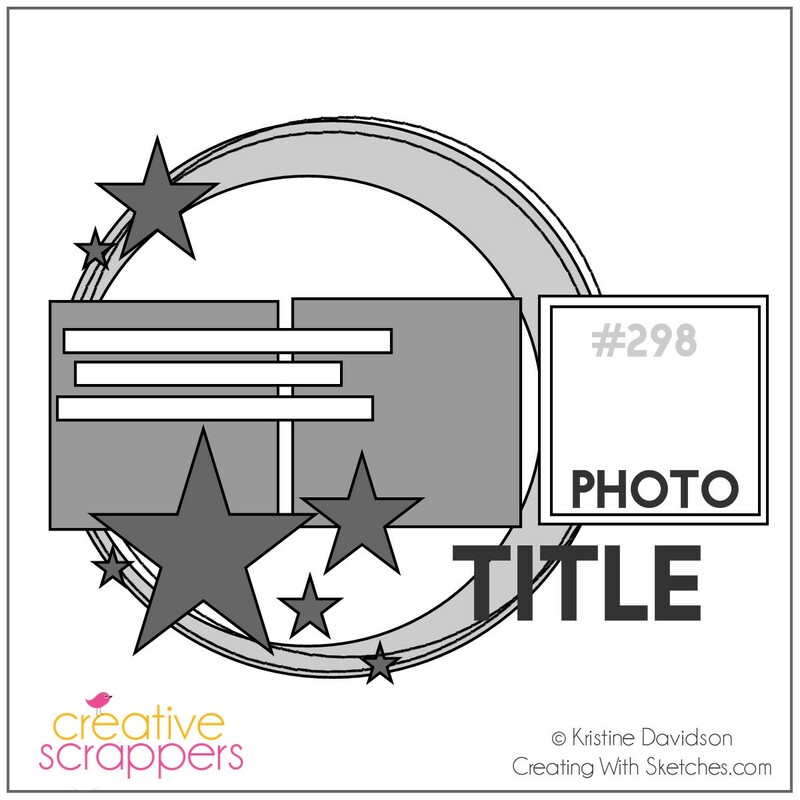 Please grab a FREE Cut File to help you with this sketch! 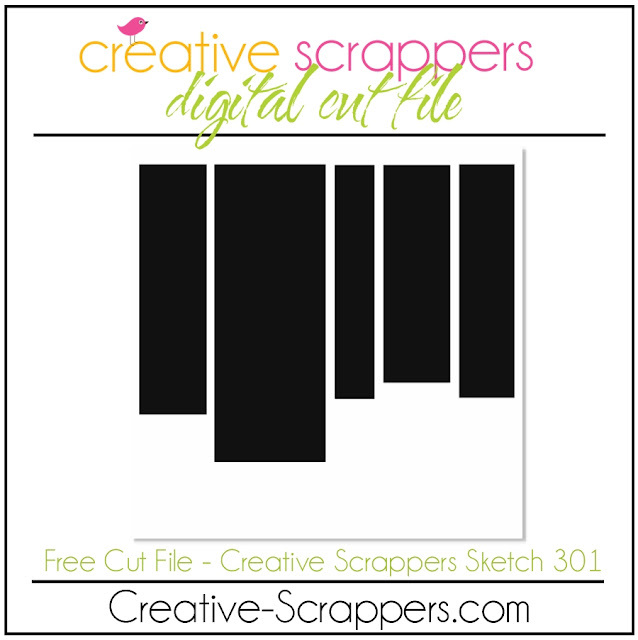 and You could WIN a FREE DIGI copy of my latest Sketchbook! 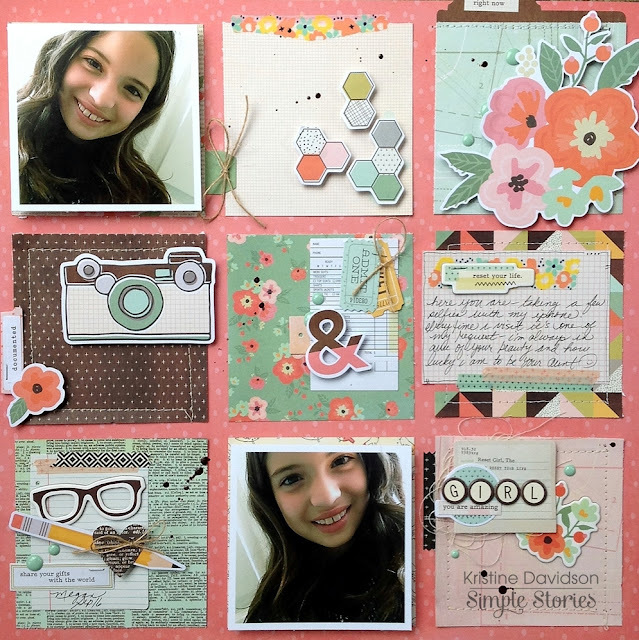 Have Fun and Please make sure you share your layout! Sharing A Card I created for Jillibean Soup ! 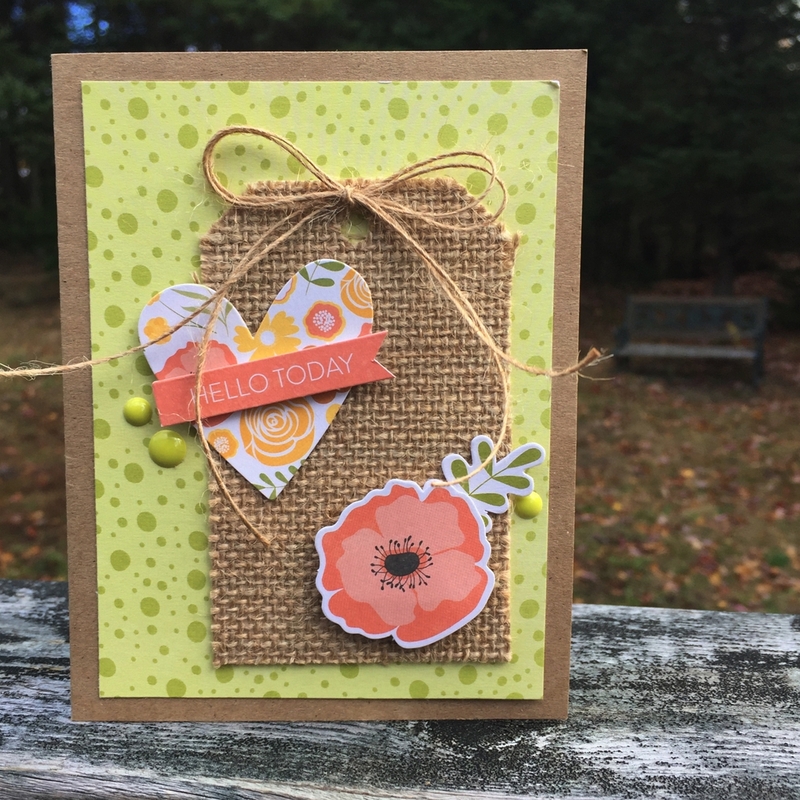 A Little Hello today with some burlap and twine. I love this combo. It's so simple and using these awesome burlap tags gives it texture and dimenison. 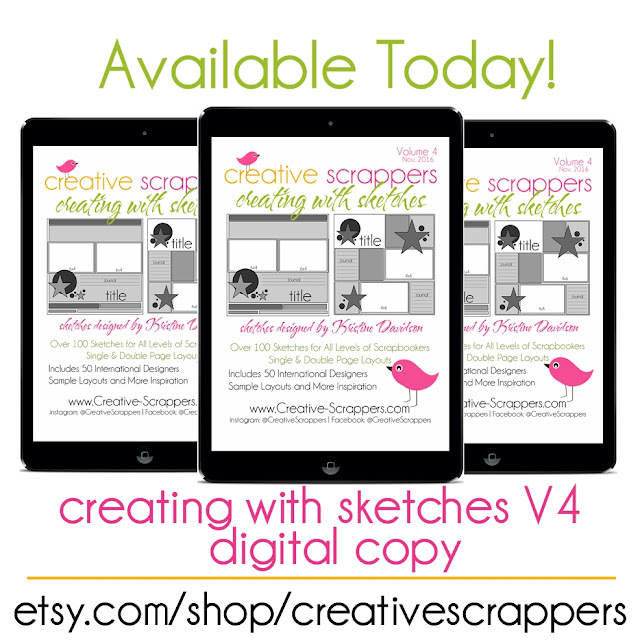 Creating With Sketches V4 is available in Digi Format! A little sneak peek for you today! 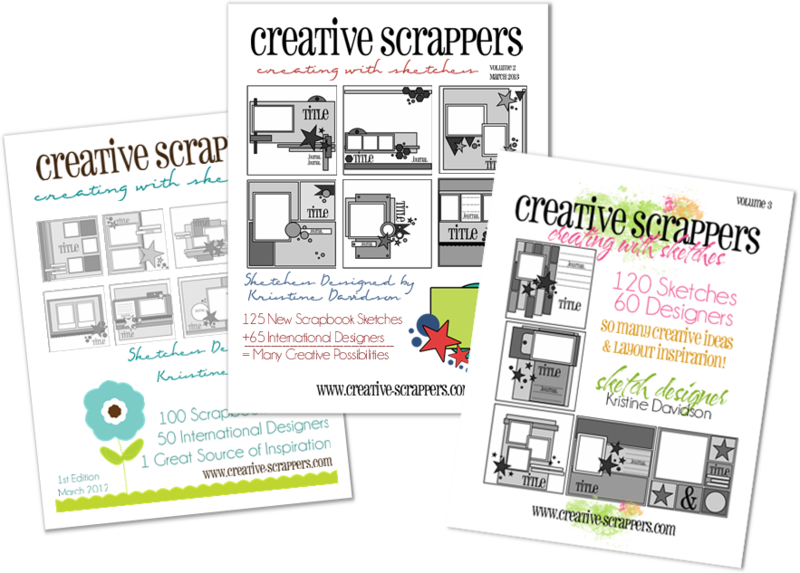 but now is your chance to get a printed copy! 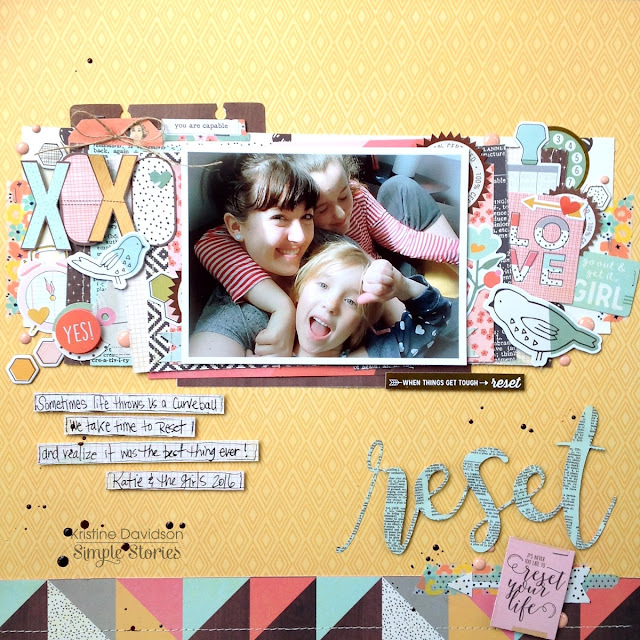 I am going to share 2 layouts using the Simple Stories Reset Girl Collection. 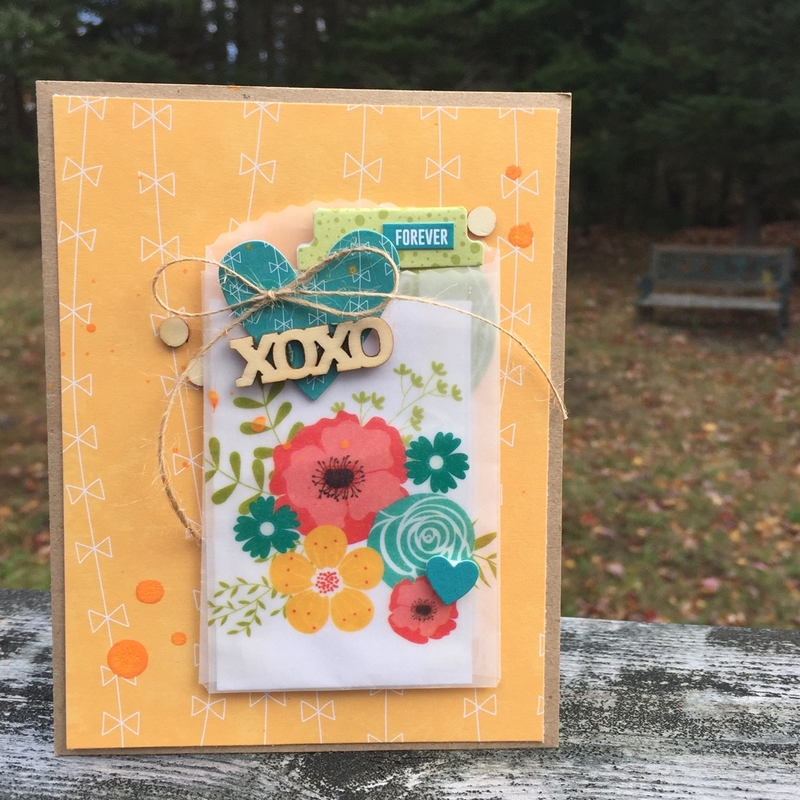 The colors in this kit are so versatile that they can be used for any season. I was drawn for my 2 pages and loved adding some extra colors with it. The first layout I'll be sharing is called "Reset"
It's a pic of my cousin and her 2 girls. It's been a rough year for her and she is finally learning to be happy after a long " reset" of her life. I thought this pic was perfect for this title. 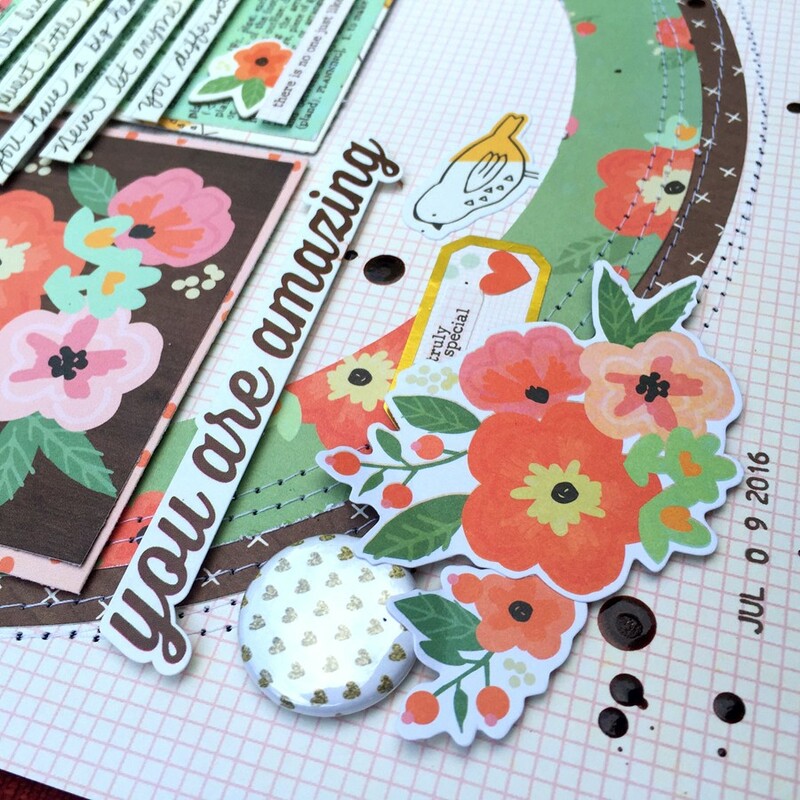 If you take a look at this layout – it is filled with layers and so many diecuts. 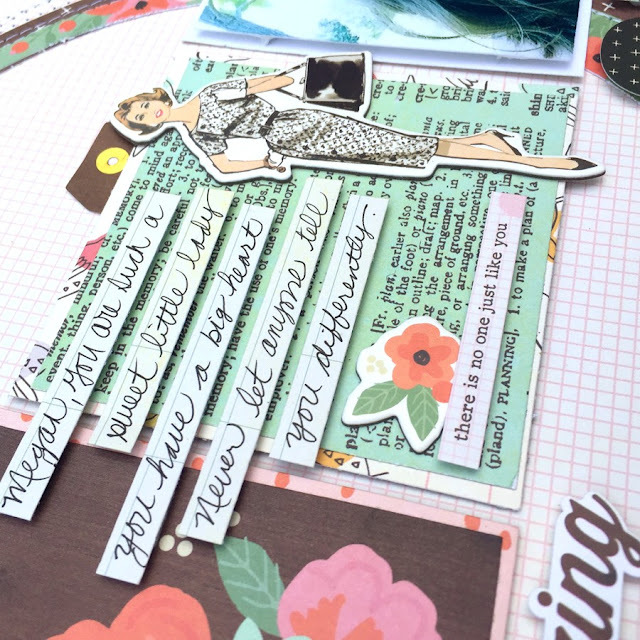 I seriously could not stop myself from adding and adding and adding and … you get the point. I love how all the colors blend so well together and create a busy focal point but not to the extreme of getting lost. I created a title using my silhouette cameo and added a small diecut on the bottom right to create a bit of a “subtitle”. 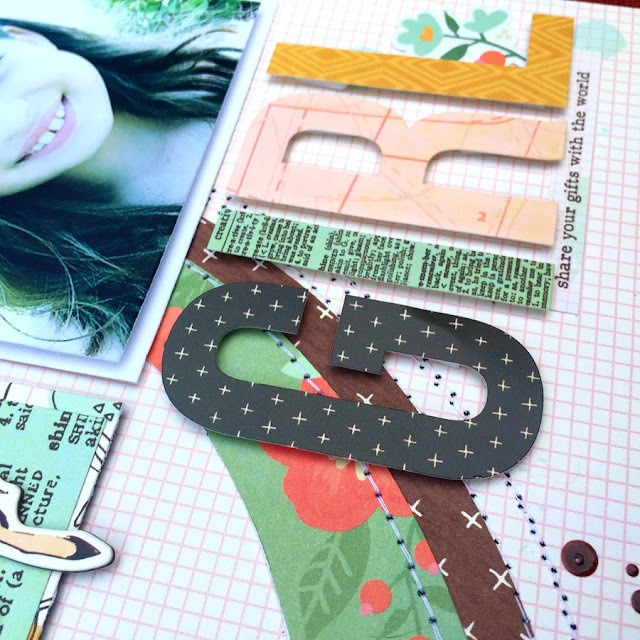 My Second layout for you today is called "Girl, You are Amazing"
A picture of my niece, being so sweet as she takes my iphone and walks around the house for that " perfect light" she's too precious. Is it wrong of me not wanting her to grow up? I would keep her at 9 years old forever ! 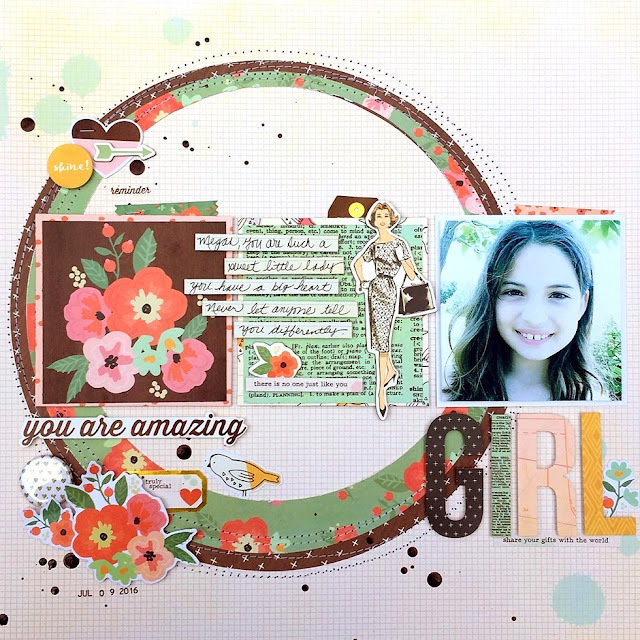 I created this layout based on a sketch from Creative Scrappers. 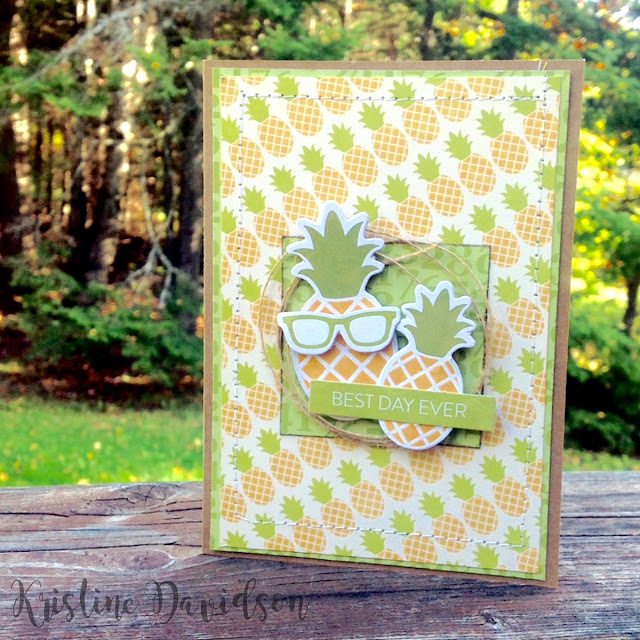 It is also one of my favorite go to patterns. 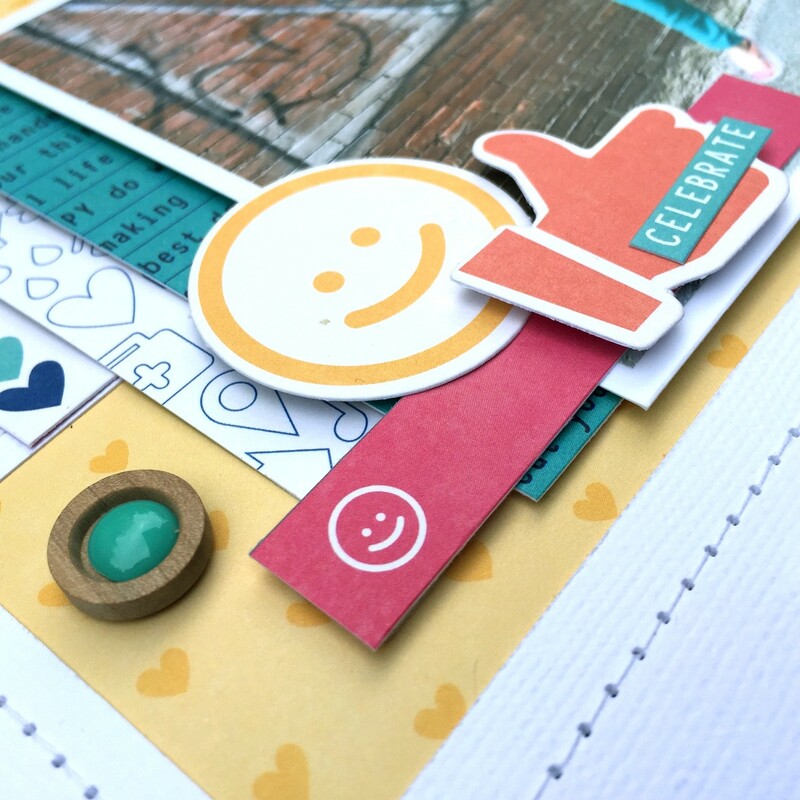 I love creating each little square, adding photos where I’d like to have them and of course adding little details to finish up my page. The chipboard pieces and diecuts from this collection can be used for so many themes. If you purchased the diecuts you can use them in your planners or your pages. 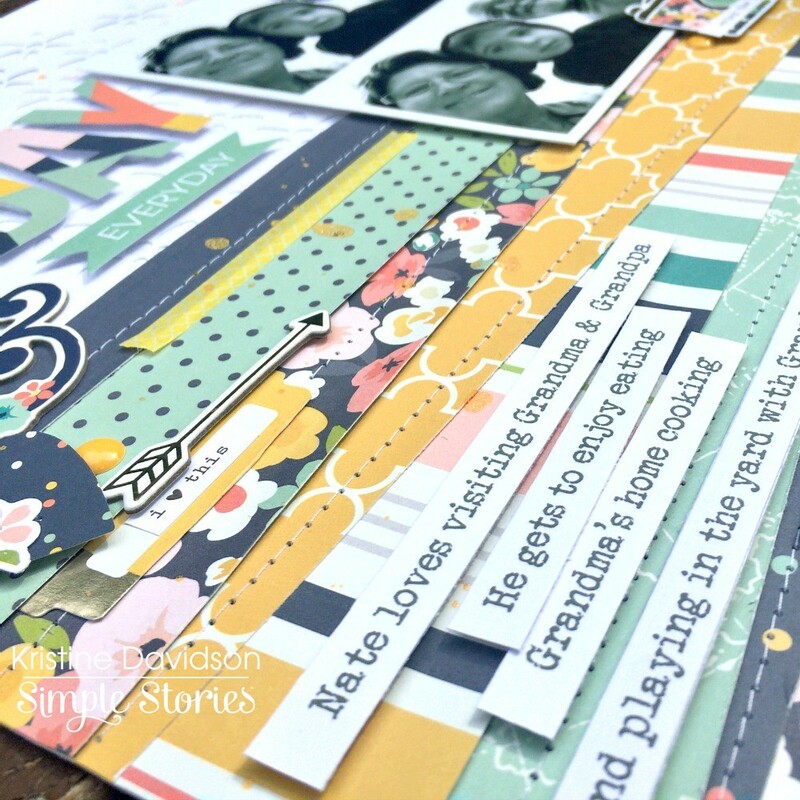 To see more great projects Visit Simple Stories! Kids grow up so fast. This little lady is one of them. This picture was taken in May or June this year and it was her first " model " pose. She is only 9 and already thinks of herself as a mini kardashian. Scary! 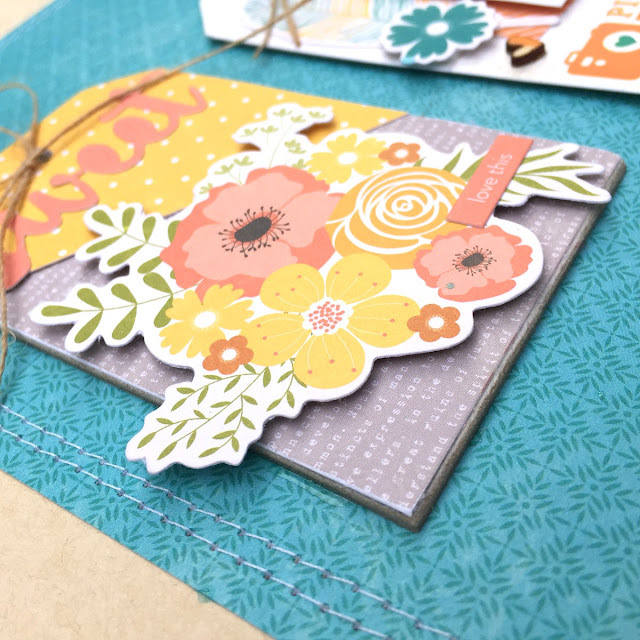 I am really enjoying creating cards lately. I am trying to be better and add some fun elements to them. Jillibean Soup has tons of cute wood veneers, tags and diecuts it makes creating that much easier. 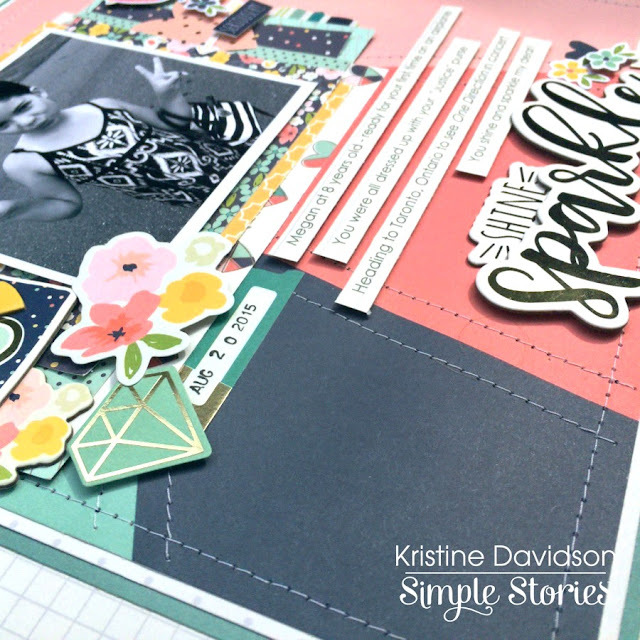 I am soooo excited to be sharing this new version of Creating With Sketches! It is my 4th sketchbook and this one is just as fabulous as the others. Volume 4 will include more sketches using multiple photos and also more double page layouts and sketches. 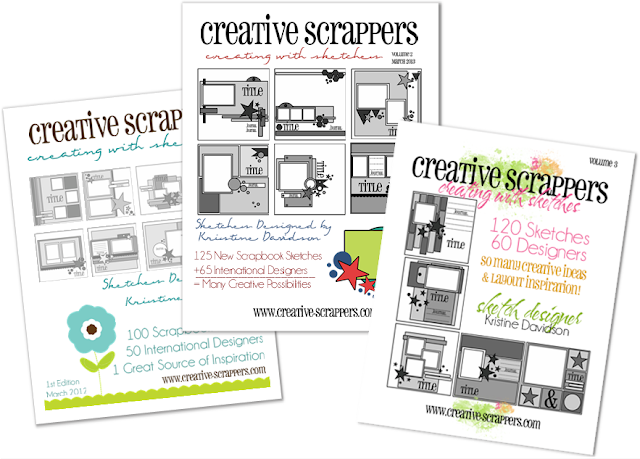 This version still has samples from great designers from around the world and yes over 100 NEW and NEVER before seen Sketches! 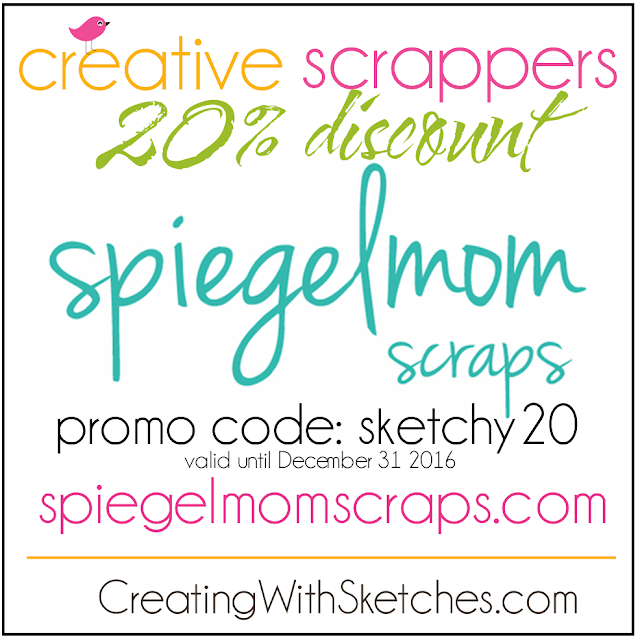 That's a lot of sketches and a great way to get your pictures scrapbooked before the new year ! The book is currently in the Preorder stages - limited quantities of printed versions will be orders so if you are interested in a PRINT version please order your copy today! Once the book is complete and ready to print it will also be available in DIGI format. 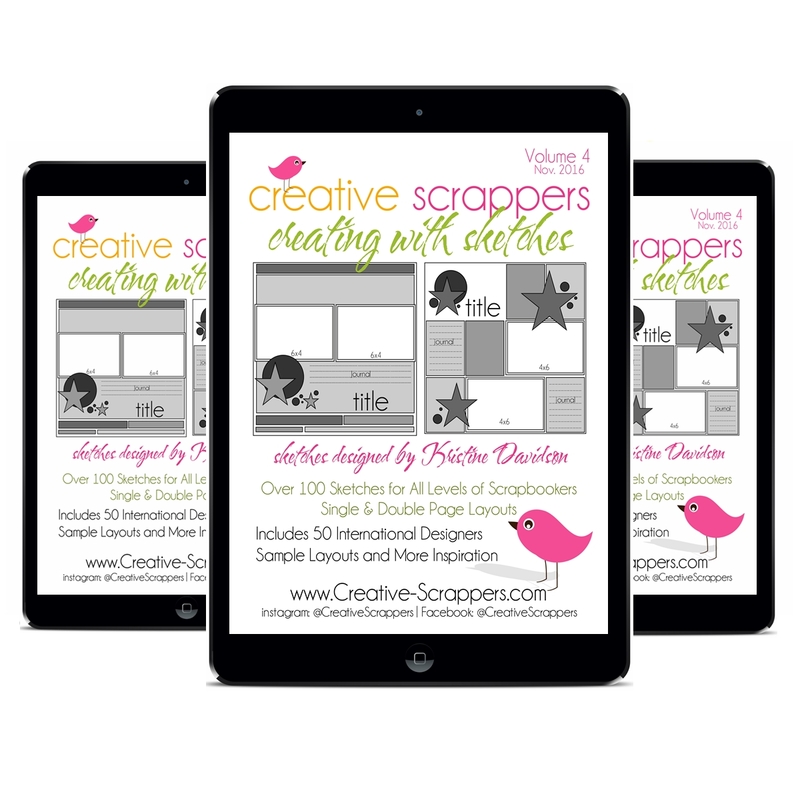 If you use your ipad or iphone or you wish to print your own version of CWS4 you certainly can. 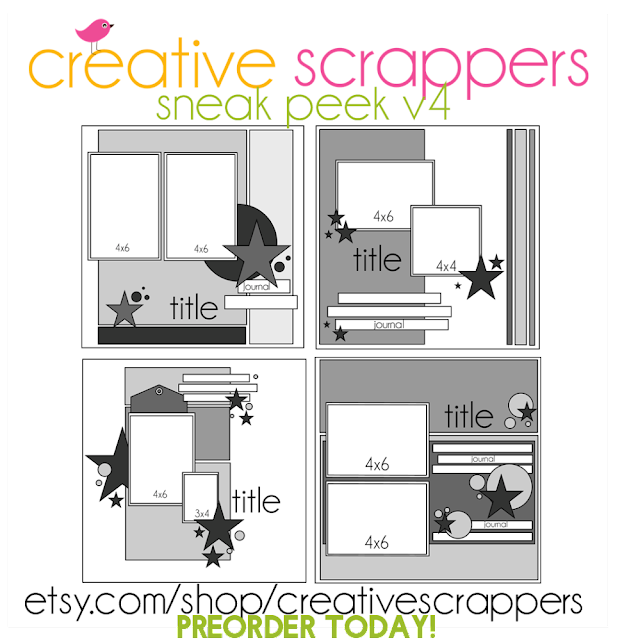 I am also doing a PREORDER for previous versions 1,2 & 3.
and I can't wait to see what you create with V4! I have a few cards to share here today. 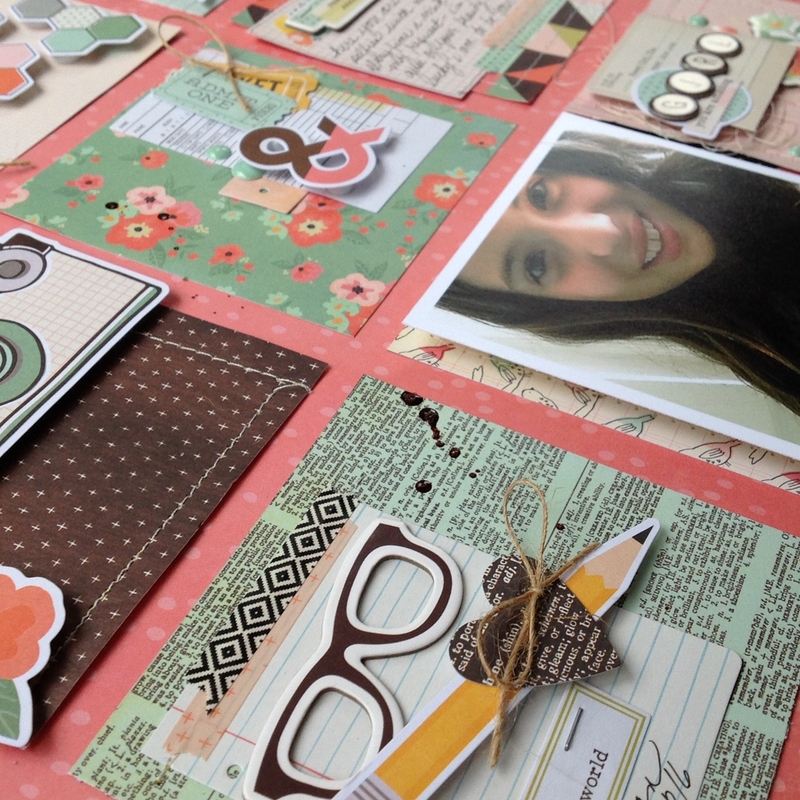 All of them were created for World Card Making day. 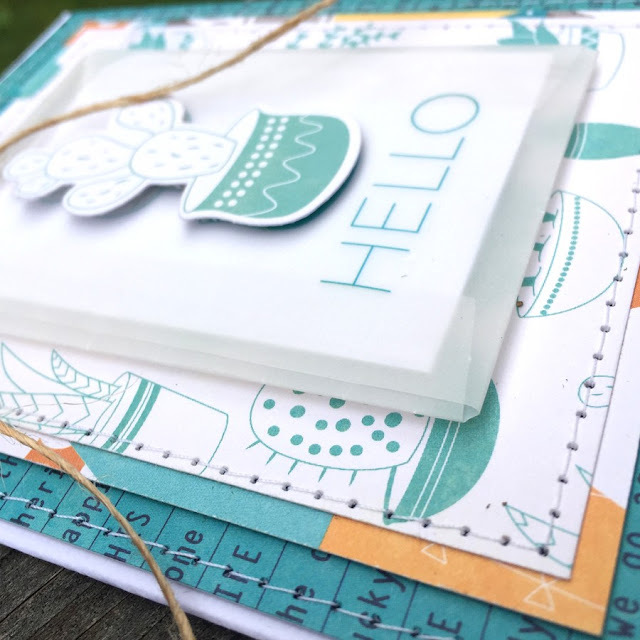 I enjoyed making these and perhaps you will get inspired to create some too! It's never too late ;) Christmas is coming and I know my mother loves getting a package of handmade cards. This Posh collection has such a variety of pattern and one of my favorites is the one called Live Simply. 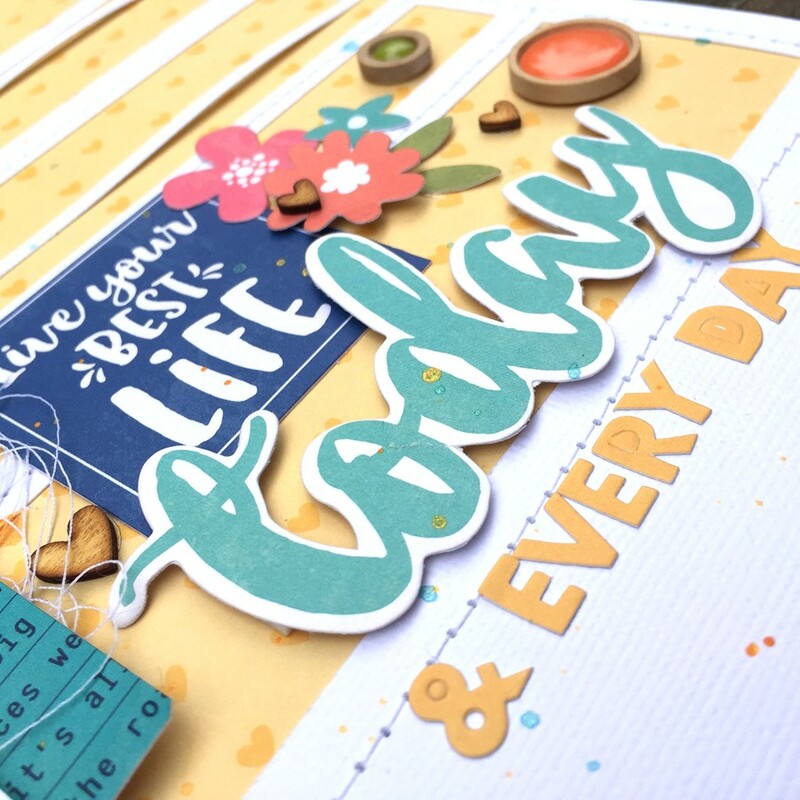 If you take a look at this page it contains 4 colors and all match with the Posh collection obviously. This paper is so versatile, You can cut strips, cut all 4 blocks, or perhaps like I did just sew each color. It has so many possibilities as a full piece or a background. 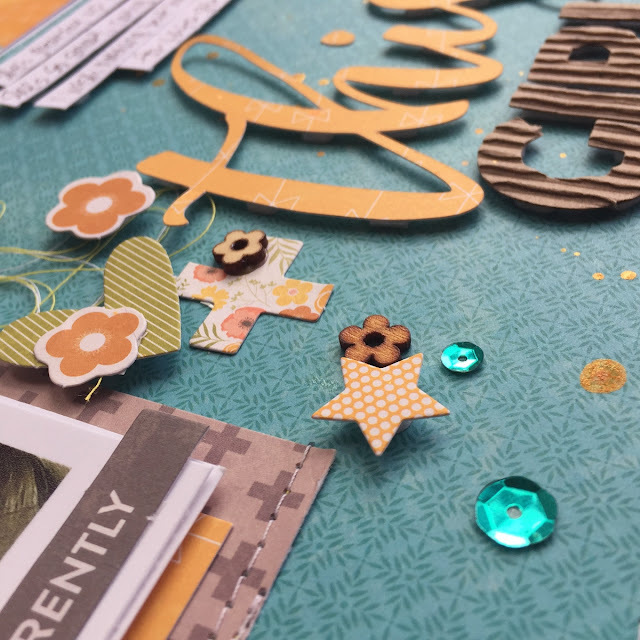 I added my strips, and cluster of chipboard with Bits & Pieces from the collection. I used the gold colored chipboard pieces Shine and also Sparkle to create my title. Simple and Effective! 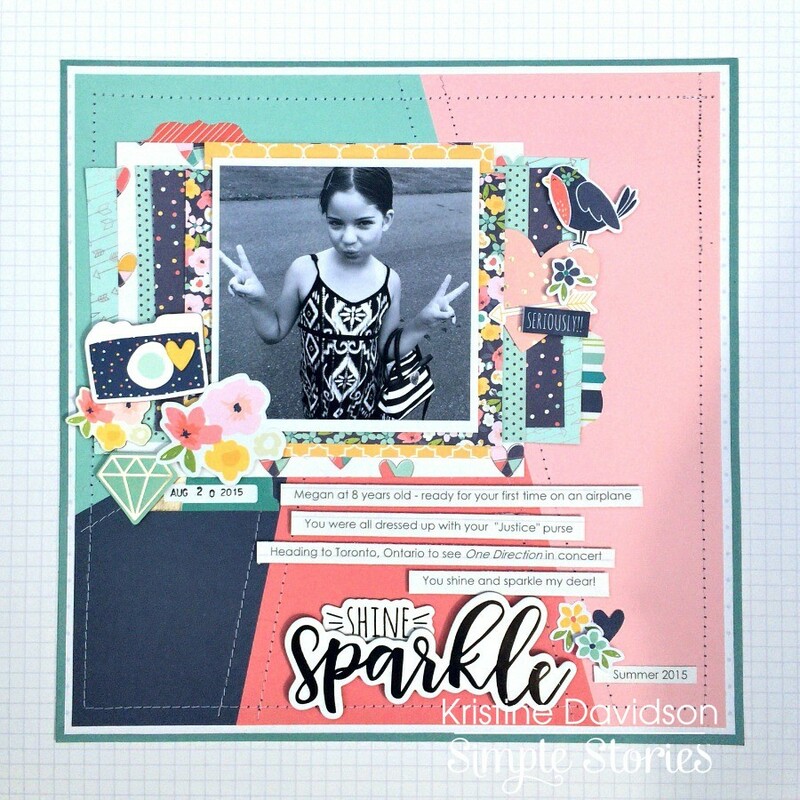 I created this page for Simple Stories using the new POSH collection. I love the colors in this collection and could not wait to create something. I used a black and white photo to make it easier for me to use all those gorgeous colors in the collection pack. The photo is of my parents with my nephew. My parents are all smilies but my nephew seems to be on the tired side. I am sure they walked around a few parks and playgrounds and Nate is pooped and ready for a nap! LOL. 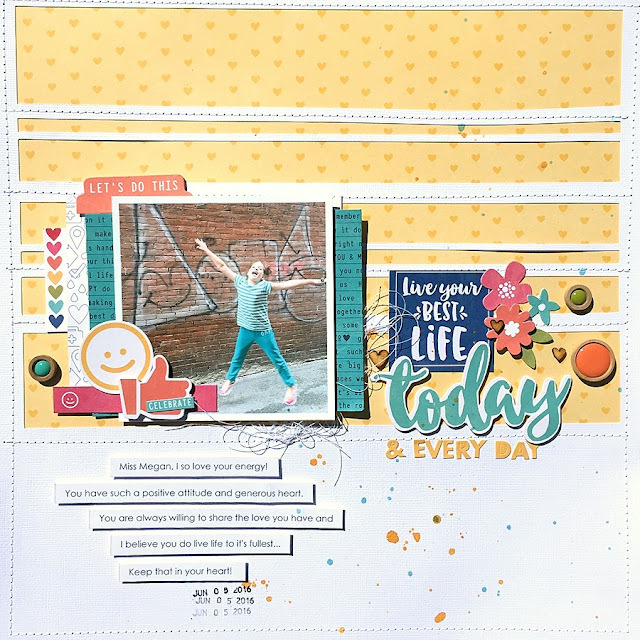 I started this page with a piece of white cardstock and then used a cut file that I created for Creative Scrappers for the background details. 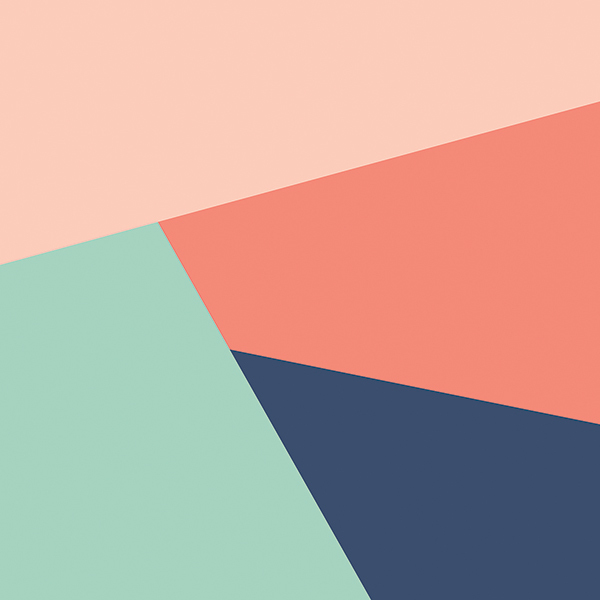 I thought having a white background would make all these wonderful colors in this collection POP just a little more. I cut up strips of paper with a variety in width and all measuring 12". I placed them one on top of each other and did a little bit of sewing. 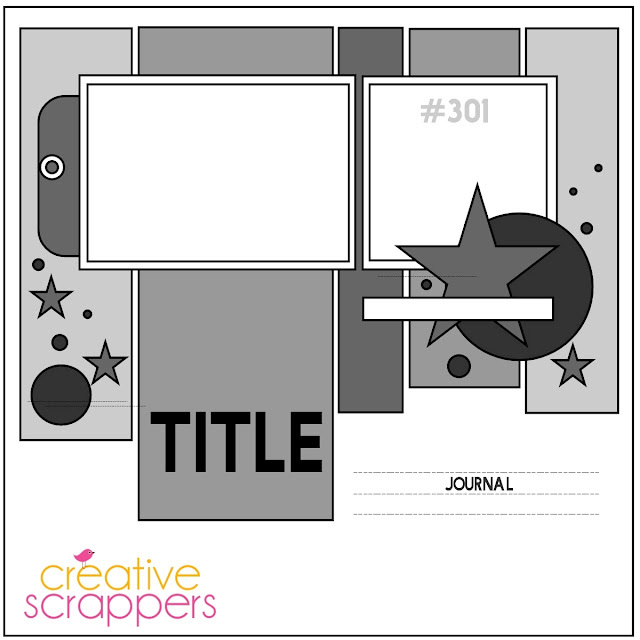 I added journal strips again on my layout. Those strips are kind of my easy way to add journaling and I enjoy seeing them on my pages. 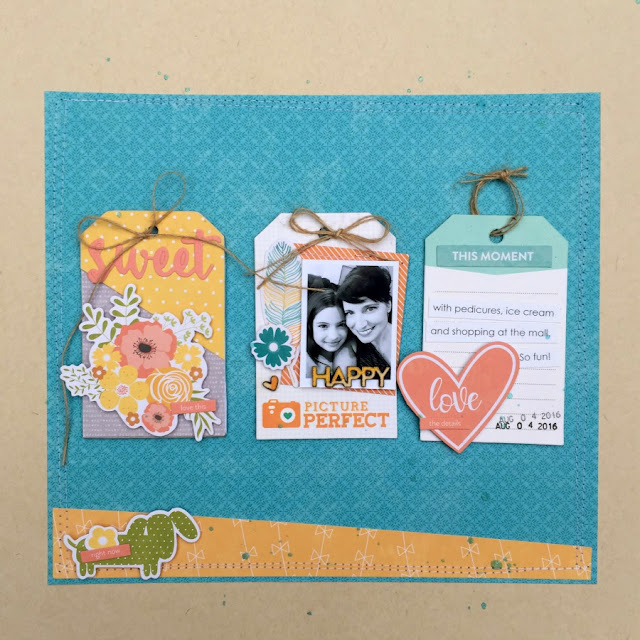 What can you do with tags? A card ? a Mini album? a layout? 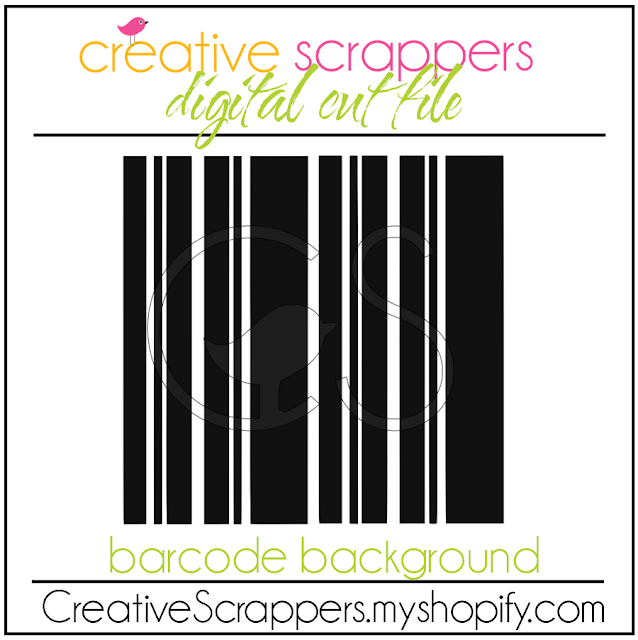 Sure ... let's add some tags to a layout! 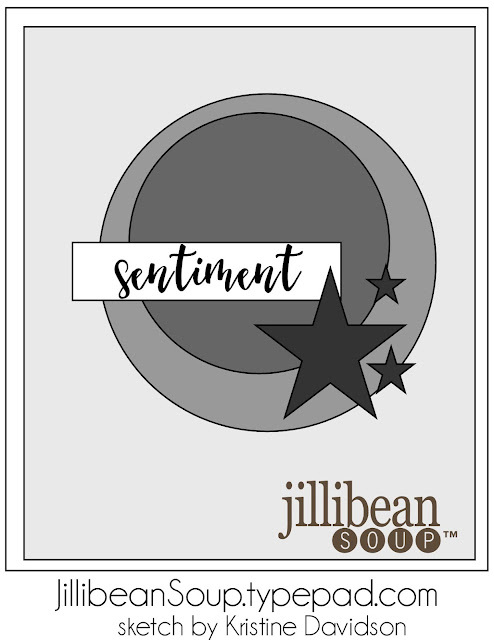 I created this page for Jillibean Soup and I used 3 tags as my base and added some embellishments and easily created this page! 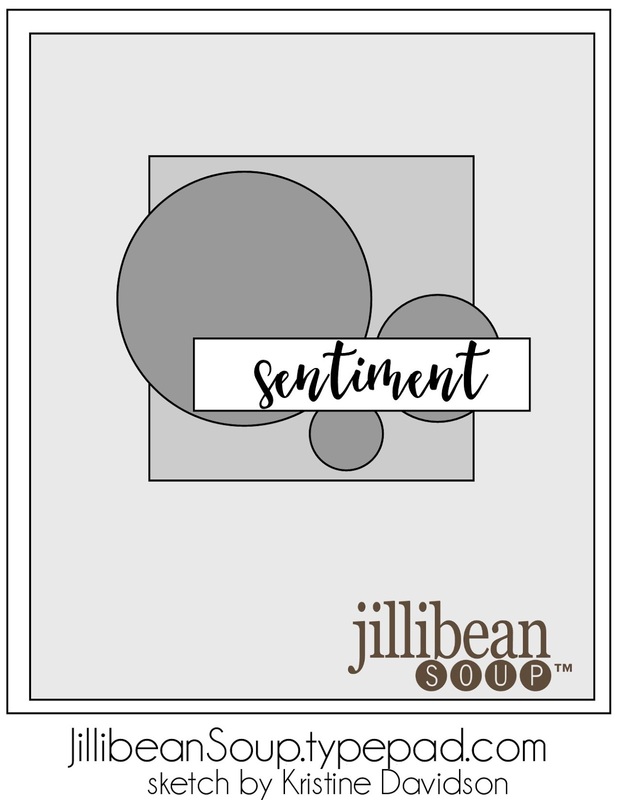 I created this card for Jillibean Soup using the New Hardy Hodgepodge collection. 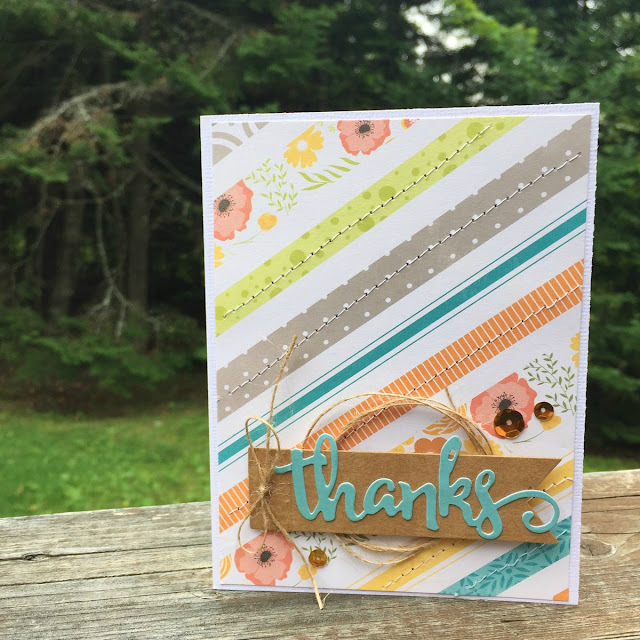 I love those patterns and colors don't you? 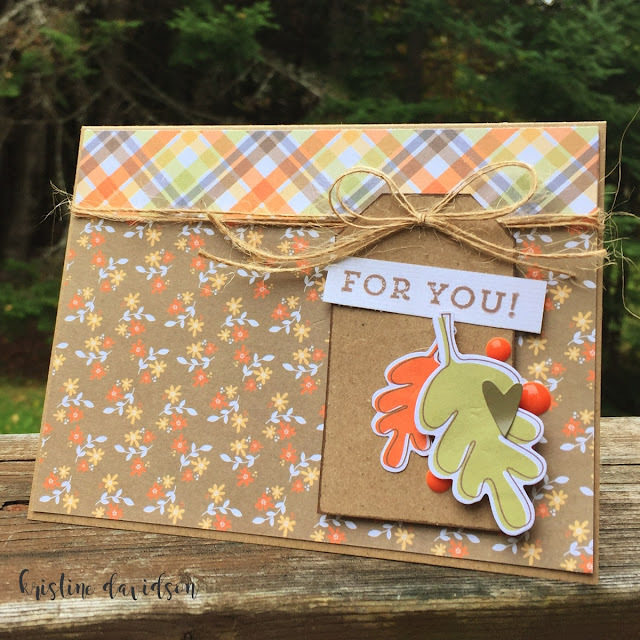 so easy to add sewing and a small tag to create this card. 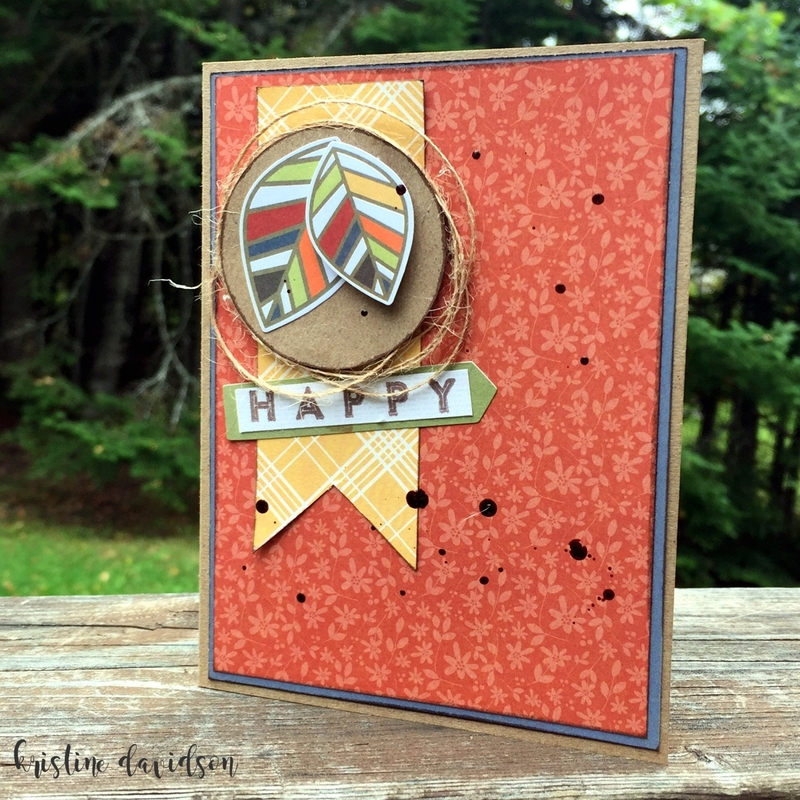 A card created for Jillibean Soup using the NEW Hardy Hodgepodge! 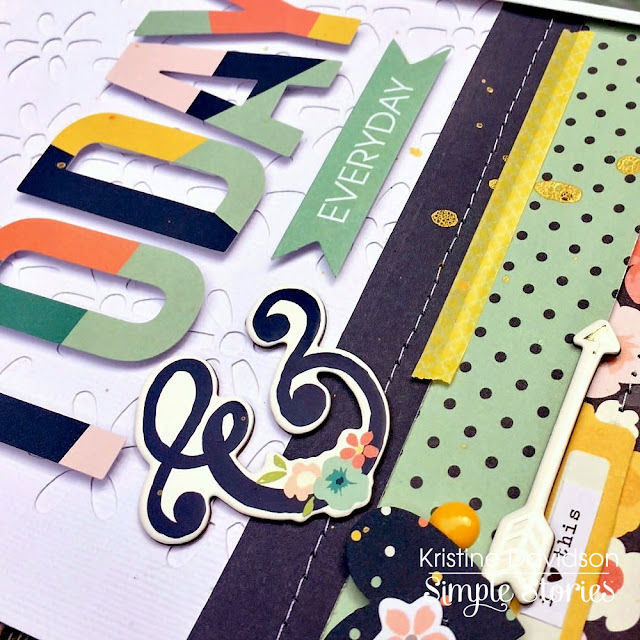 A great mix of patterns and embellishment in this collection which makes creating so fun. I love the cacti in this collection and I'm sure I'll be using that again in the near future! 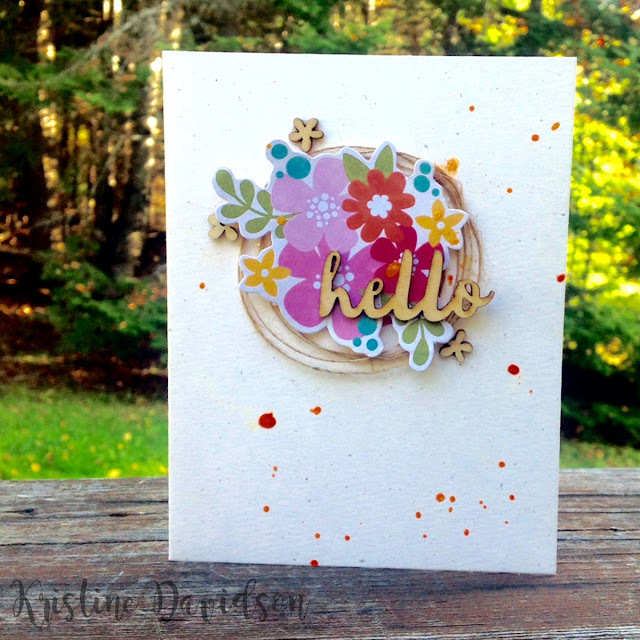 Hello Card just for you!